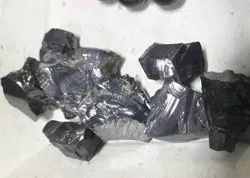 It is Natural Elite Shungite raw stone. We are offering Chrysophase Chips to our clients. Products Price: 2 $ per line 'Based on the dollar and may vary as per dollar fluctuation. Noreena Jasper are made up of solid and tuff stone and are demanded globally. Finest quality jasper adds a glare to the jewellery. Our stones are handcrafted with excellent quality. We manufacture stone which are perfect to compliment your beautiful jewellery pieces. 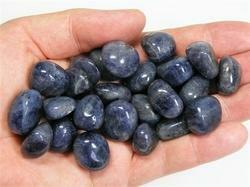 We are wholesaler in Sapphires, Emrald, Ruby, Hessonite, Cat's Eye, Coral, Pearl and Diamonds. The stones are laboratory tested and east stone will be given ISO certificate. We also deal in Shri Lankan, Thailand and Indonesia made stones which are available in reasonable price. In our wide range of products, we also have Aqua Blue Raw Onex for our clients. Our range is widely demanded in the market, due to its fine finishing and striking designs. Used for making eye-catching jewelry like necklaces, rings, pendant & earrings, these gemstones are offered at competitive prices. We have varity of Semiprecious Stone.